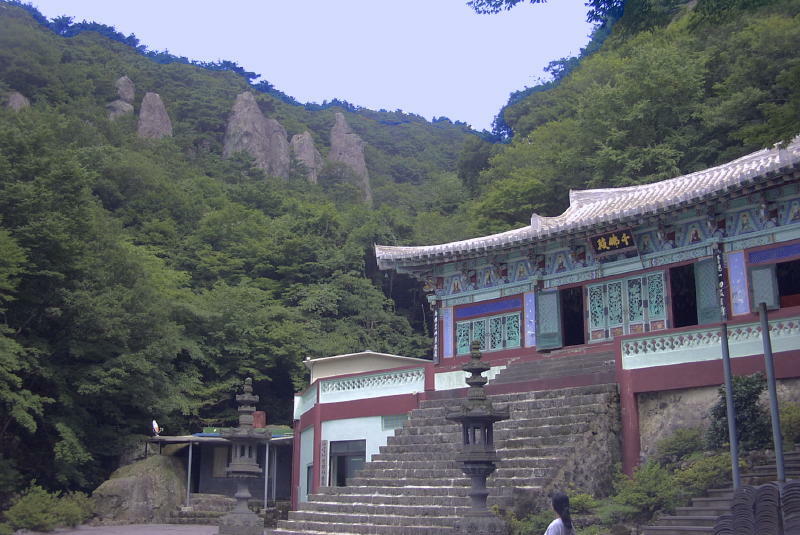 This old and medium-sized temple is named for the Four Heavenly Kings that defend the North, South East and West from evil on behalf of Buddhism. 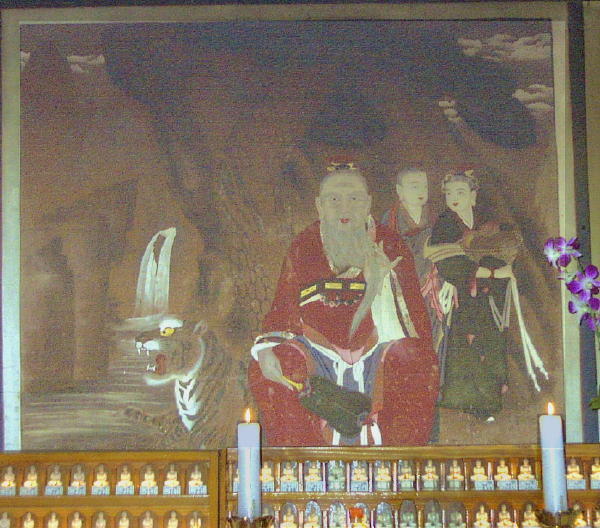 They are typically enshrined in the Second Gate of large temples. 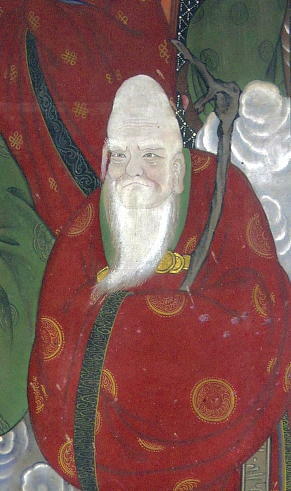 The rather ordinary San-shin painting of Cheon-wang-sa. 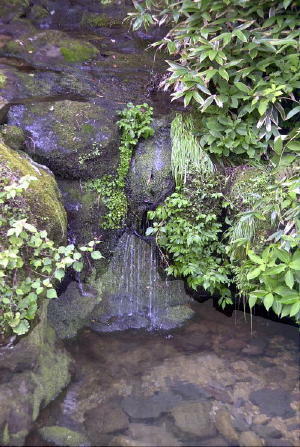 The Dok-seong painting, with nice flowering-trees, and a small waterfall next to the Three Sages Shrine. 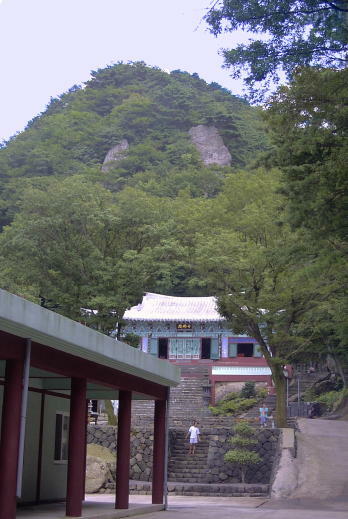 Dramatic cliffs surround this temple (which is the north-western trailhead for climbing Halla-san). 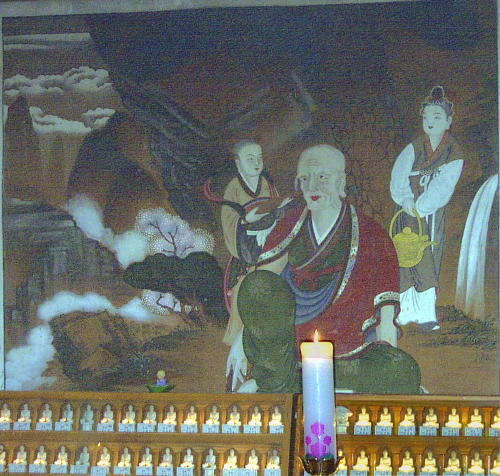 The wise North Star Spirit is prominent in the Chil-seong painting.